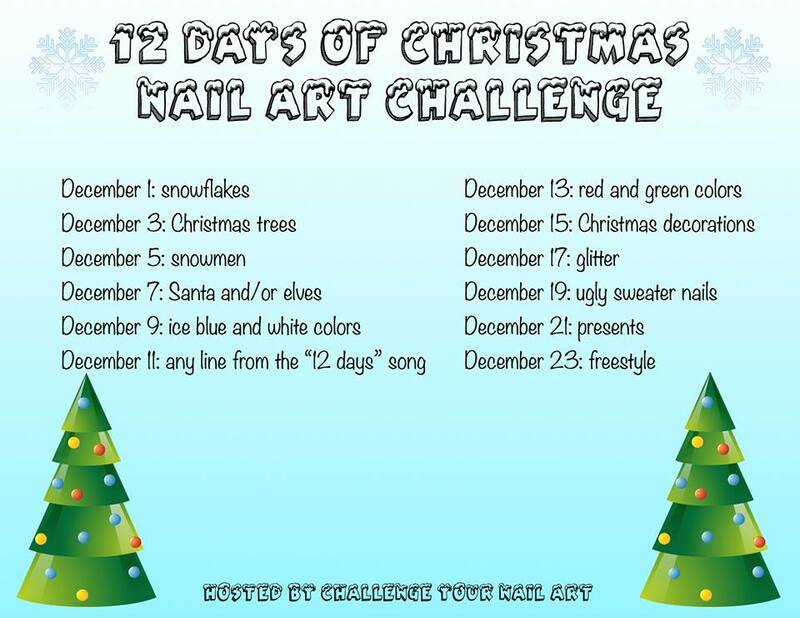 Today’s theme in the 12 Days of Christmas nail art challenge is presents. I really enjoyed creating this one and I hope you’ll like it too! These pictures almost didn’t make it to the blog. Something weird happened while I was copying them from my camera and I lost the whole folder. I tried to restore them but I couldn’t and I thought they were lost forever… luckily my boyfriend came to the rescue and he was able to restore them! 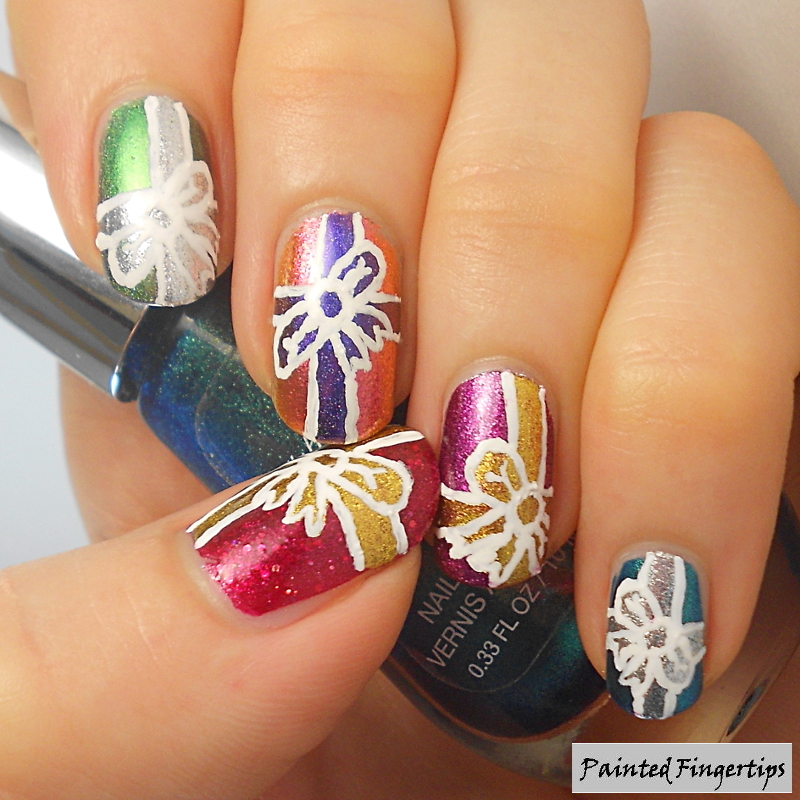 Now we can all enjoy them 🙂 I was inspired by this post by The Nailasaurus, where she also did multicoloured wrapped presents. I loved her version so I was very keen to try it myself. I used a different base colour for each nail plus 3 different bow colours. Starting from the thumb, the base colours are: Renaissance Cosmetics Rosie-Osie, ILNP Mutagen, Sally Hansen Lustre Shine Lava, Revlon Fierce, and Sally Hansen Lustre Shine Scarab. 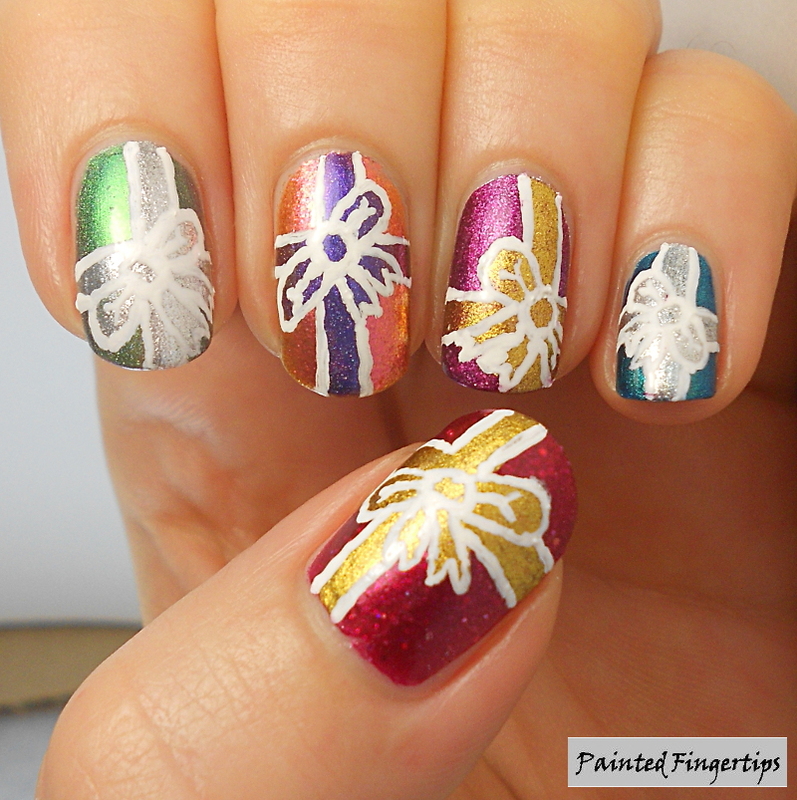 The bow colours are Tip Top Gold Mine, Nails Inc Cambridge Terrace, and ILNP Cygnus Loop. I did the outlines with white acrylic paint. These were actually one of my favourite Christmas looks! What do you think of them? Only a few days left until Christmas! 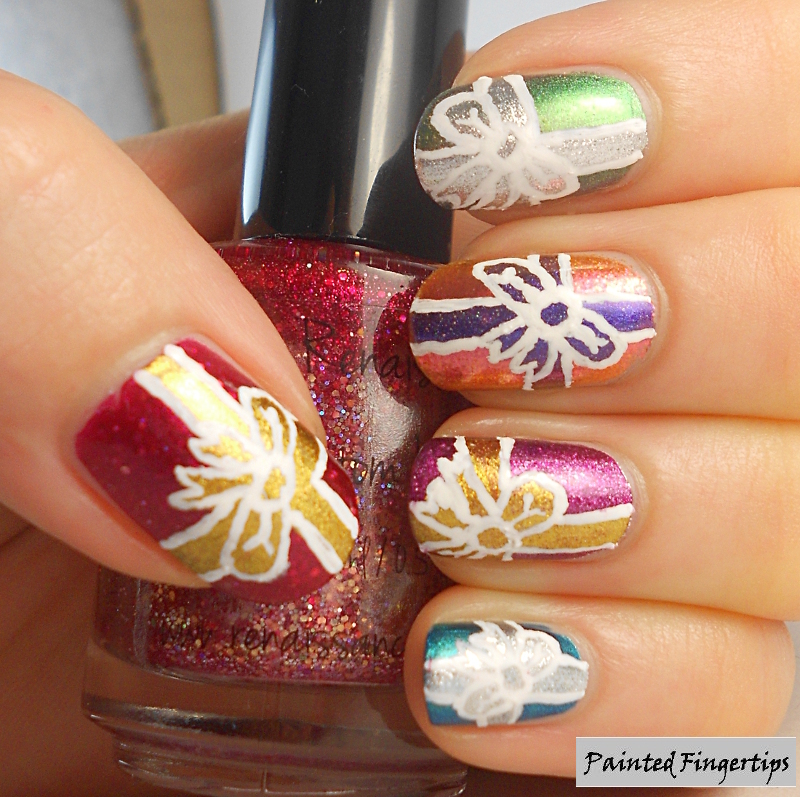 Oh wow these are so cool, I love all the shimmery present colors, you’re getting uber good at freehand! Love them! I love these brightly wrapped packages! 🙂 So glad you were able to save the pictures. These are just awesome Kerry! I love the colours you used! So bright and happy! I always wrapped prezzies like that!